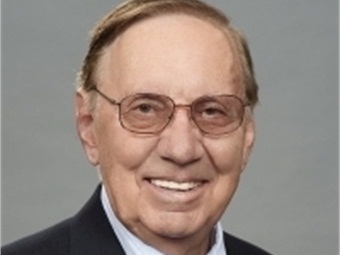 John Goss, a former Sales and Technical Expert with Q'Straint passed away January 3, 2016. 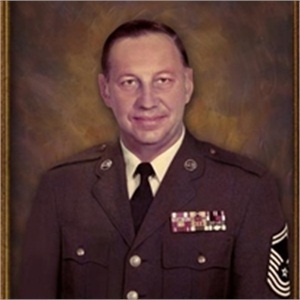 A Vietnam veteran, Goss retired from the U.S. Air Force as a Chief Master Sargent. When he returned to the states, Goss accepted a position as Director of Transportation & Facilities for Marana Schools in Tucson, Ariz., before opening Goss Enterprises. 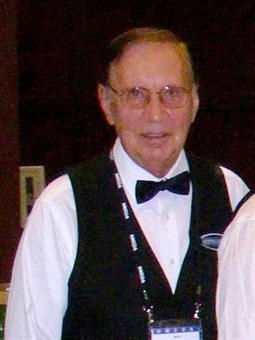 Goss is survived by his loving wife of 60 years, Janine, two sons, seven grandchildren, and three great grandchildren. He earned countless awards and acclamations from local, state and federal levels over his many careers, including nominations for outstanding Air Force Noncommissioned Officer of the Year for Transportation and the Star Award. He was also twice elected as the Director of the Arizona Department of Transportation. During his 15 years as the Director of Transportation & Facilities for Marana Schools, Goss established a great relationship with Jim Reaume, Director of Sales at Q'Straint. Reaume was always impressed by Goss's knowledge of wheelchair securement products and regulations — not to mention his outspoken love for Q'Straint wheelchair securement Q5000. After Goss retired from his role as Director of Transportation & Facilities in 1989, Reaume enthusiastically offered him a contract job as the very first Outside Sales and Technical Expert at Q'Straint. Goss quickly proved his value to the company assisting with specifications and regulations, working tradeshows, training the sales team, and of course sharing his abundance of insider knowledge. One of Goss's most notable accomplishments was the development of the Q'Straint National Training Seminar, which has evolved into a unique and highly regarded industry program. Q'Straint is grateful to Goss for laying the groundwork, and helping the program become what it is today — 14 years later. It was clear from day one that Goss's military background helped to shape him as an individual — strong, tenacious, intelligent and loyal. In memory of Goss's passion for training, Q'Straint will be dedicating their training facility in his name. John will be deeply missed by the entire Q'Straint family, but fortunately his legacy will live on, the company said in a statement.